What causes diabetes depends on the form of the disease. 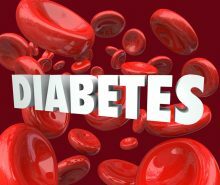 The origins of type 1 and type 2 diabetes differ, although experts believe that both types stem from a combination of genetic and environmental factors. In type 1 diabetes, the body?s immune system attacks cells in the pancreas that produce insulin?a hormone that moves sugar (glucose) from the bloodstream into the body?s cells. A genetic predisposition is at least partly responsible for this immune system attack. Certain viruses, including enteroviruses, could potentially initiate the autoimmune reaction that leads to the disease. 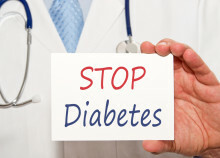 What causes diabetes type 2 is increasing resistance of the cells to the effects of insulin. As a result, sugar builds up in the bloodstream. Having an excess of fatty tissue can make the cells more resistant to insulin, although it is possible to get the disease without being overweight. A sedentary lifestyle and a diet high in saturated fat can also contribute to diabetes risk, in part by leading to weight gain. Exercise helps the body use glucose and makes cells more sensitive to the effects of insulin. The risk of diabetes increases with age, which may be due in part to weight gain that naturally occurs in the later years. High blood pressure and smoking are also factors in the development of type 2 diabetes. Gestational diabetes is a form of the disease that occurs during pregnancy. What causes diabetes in pregnant women? Hormones produced during those nine months make the mother?s cells more resistant to insulin. The pancreas is not always able to keep up with the increased demand for insulin. Women who enter their pregnancy at a higher than normal weight are at increased risk for gestational diabetes. A family history of diabetes, or a personal history of prediabetes or gestational diabetes also makes women more likely to develop gestational diabetes. Having diabetes during pregnancy increases a woman?s risk of getting type 2 diabetes later in life. Type 1 (or juvenile) diabetesaccounts for 5 percent of all cases. A UCSF researcher answers the question, “Why is fructose bad for you?” He asserts that fructose is “alcohol without the buzz.” Learn how fructose drives fat storage, accelerates aging, and makes the brain think it is hungry. People who haven’t encountered it may wonder, “What is diabetes?” Also known as diabetes mellitus, diabetes is the name of a group of diseases in which the body is unable to properly utilize blood sugar (glucose) for energy. Is diabetes inherited? 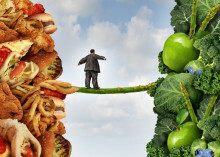 Or do diabetes symptoms emerge when you consider lifestyle factors like diet, smoking, and exercise? There are actually different causes for Type 1 diabetes, Type 2 diabetes, and gestational diabetes, but most scientists agree that all three are influenced by both a person’s genes and their environment. A 2012 study reveals what causes diabetes – at least partially. The global rate of type 2 diabetes is 20% higher in countries that use this sweetener, and the U.S. was found to have highest consumption.